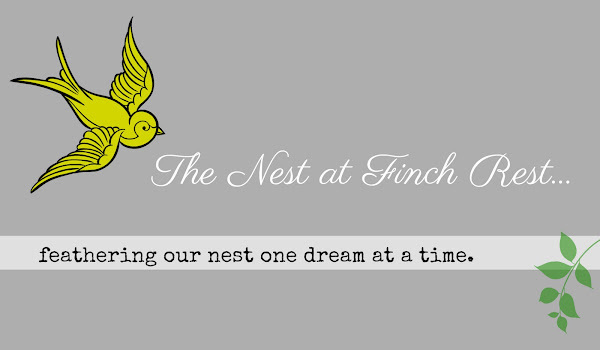 The Nest at Finch Rest: Happy First Day of Spring! Well the sun is out and the skies are brighter...finally! and left our nest for good! The sun came just in time....however.....it is still quite COLD! Most of the snow has melted and nothing looks like it wants to bloom yet. to pretend it is warmer and more spring-like weather! But nothing says spring like daffodils! be sure to visit here for your chance to win! Happy first Day of Spring, whatever your weather! Hi Michele- Listen, thanks for signing up as a follower. I looked and I thought-I wonder why she hasn't been posting- because I am a follower of yours, too. Anyway, backlinked and here I am. You are now on my sidebar so I don't miss any more posts. Daffodils, daffodils ... nothing says spring like daffodils! Happy first day of spring dearie! That's a beautiful daffodil Michele. 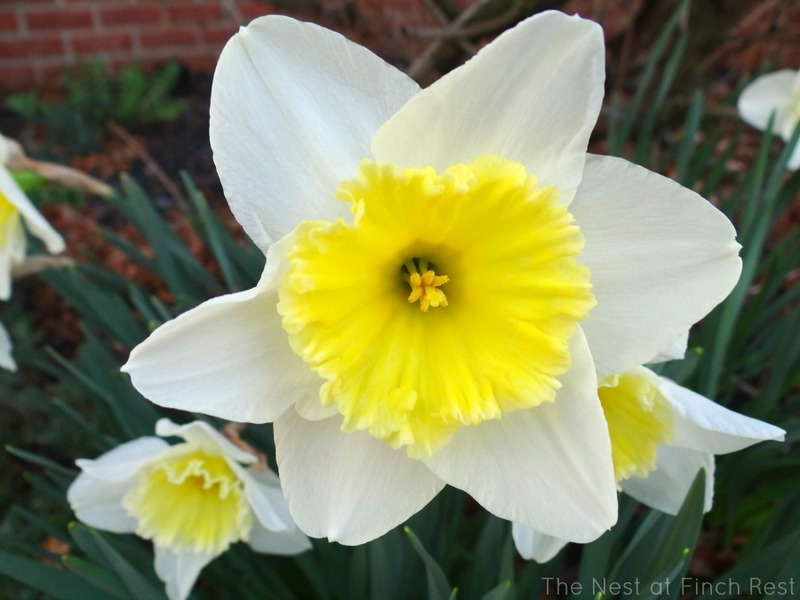 I love daffodils and your photograph is gorgeous! Unfortunately, for the past few years, I've only had two daffodils appear so I have to enjoy them quickly! Visiting from A Southern Daydreamer. Yes, happy spring and I can agree that it would be lovely if it would only warm up! I've seen Daffodils for sale at the local grocery but we are a ways off from them blooming in the gardens. Snow predicted today, not daffodils! I would be awesome to see them peeking through! Spring flowers are always so pretty and such a welcome sight after the cold, snowy & dreary winter. It doesn't feel like Spring here at all. I can't believe how the older I get, the more I anticipate Spring's arrival. We often wonder what it would be like to "hear rain". It goes long periods without any rain. We often say how we miss the sound. We actually have more days of sunshine in Colorado than Florida. I think all these things are nice but I do wish we could "spread it around a little"! I love daffodils and they really do announce that Spring is here. Your photo is beautiful. Thank you for sharing at my HOME and I enjoyed your poem too. "We got spring and summer" - come on over to Central Texas. Although, it is a bit chilly this evening. So, we swing between it all ... never a dull moment betwixt seasons around here, or at least on the way to spring! 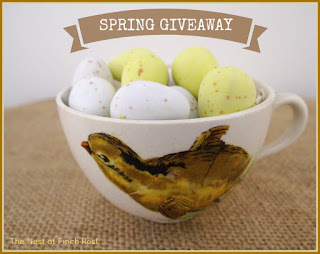 PS your giveaway link goes to Outdoor Wednesday's blog -?? I didn't see anything there .. thought I'd mention it to ya. oops thanks better fix that goof up!! Daffodils are spring to me they are my favorite spring bulb. 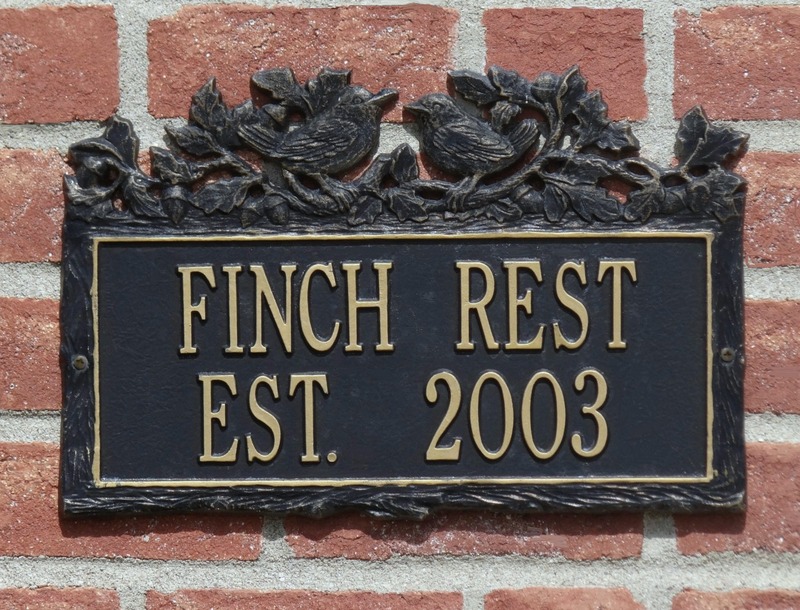 I planted 300 and will do the same when we move. I hope that it will continue to stay sunny in your area. I get depressed after too many days without sunshine! It is cold and sunny here today too. Expecting ugly rain this weekend though. Boo Hoo! Thank you so much for stopping by my blog and your sweet message. I missed you, too! Isn't this Ohio weather crazy? We had both snow and sunshine today! Sooo cold...I can hardly wait for warm weather and be able to open the windows! Yes, I sure hope we can get together this year...a day trip to Columbus sounds fun! Have to meet you and Romeo!! Keep warm! Beautiful daffodils, I'm still waiting for Spring here in KC. We got about an inch of snow today but it was still too much for me. Happy Spring!! Spring might be here, but here on the north gulf coast it is still COLD:( I can't remember another March being so cold and I have lived here all my life.